The law of the state in which the event giving rise to the damage occurred. Given that oil refineries are run in many states, the victims of climate change have quite some choice. Two law systems might be particularly interesting for climate change victims: the law of the Netherlands as it seems to recognize statistical evidence for causality and the law of Sweden as it seems to allow class actions. Below you find a summary of a few key sections that outline such chances and hurdles to create lawsuits in the EU. 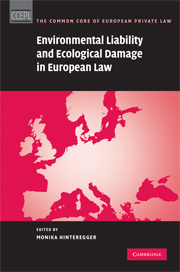 The following summary points to some key sections of the book “Environmental Liability and Ecological Damage in European Law”, edited by Monika Hinteregger, Cambridge University Press, Cambridge et al. 2008, ISBN 978-0-531-88997-1. No liability for the correctness of the summary is engaged. Readers are always recommended to refer to the original book to obtain a more precise and more comprehensive picture. Page 642 on strict liability for pollution damages: Germany, Greece, Finland and Sweden have comprehensive no-fault environmental liability statutes. In France and in Belgium, the non-fault liability of the custodian of a thing according to Article 1384(1) of the Code Civil is also applicable to pollution damages. However, in Belgium, this rule is only applied to things which are defective. In Spain, Article 1908 of the Código Civil is the legal basis for non-fault liability, and in the Netherlands it is Article 6:173-178 of the Burgerlijk Wetboek. In England and Ireland, the case Rylands v. Fletcher from the year 1868 is used as a reference. Page 643 on neighborhood law based liability for pollution damages: In all examined states, neighborhood law is used as a legal basis for litigation of pollution cases. A claim can be successful if there is a "continuous, unlawful, and indirect interference with the use or enjoyment of land exceeding a certain threshold of tolerance." In Scotland and in the Netherlands, no fault needs to be established. Austria, Finland, France Germany, Greece, the Netherlands, Spain and Sweden apply the notion of “Force majeur”. England, Scotland and Ireland speak about acts of god or natural disasters which hinder the liability of the land owner. Page 644 on burden of proof: The burden of proof generally lies with the plaintiff. 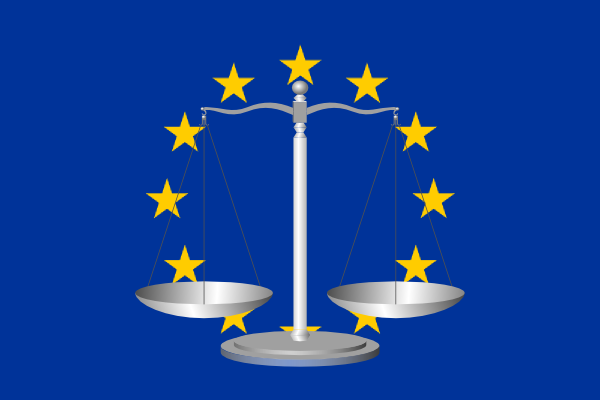 According to the principle of free evaluation of evidence, generally accepted in all European countries, the admission and weighing of evidence lies within the discretion of the court. In none of the examined states statistical evidence alone is regarded as sufficient. However, the Dutch Hoge Raad granted compensation on the basis of statistical evidence in the Des case (HR 9 October 1992, NJ 1994, 535 (Des-dochters)). Austria, Germany, Greece and Spain require a high level of probability, but in Austria and in Germany, a prima facie evidence is sufficient (page 373). England, Scotland and Ireland require that, on the balance of probabilities, the defendant's activity was, at least, a material contributor to the damage. In Finland and in Sweden the requirements are lower. The causality must be more probable than not, which means that there must be "clearly more than 50 %" likelihood. Pages 395-399 on joint and common liability: "If damage is caused by several tortfeasors, all the countries grant the victim the right to full compensation from any of the defendants (joint and several liability), even if the plaintiff is not able to apportion the damage among the defendants. The defendant who has compensated the victim is then generally entitled to claim reimbursement from the other defendants." However, there are differences with regard to the details. In Austria and Germany a joint and common liability is only assumed if the shares of multiple defendants cannot be estimated, see § 1302 ABGB for Austria and §§ 830(1) and (2), 840(1) and 426(1) BGB, § 287 ZPO for Germany. The same for France: If it is possible to determine the respective responsibility, the polluter will be responsible only for his part of the damage. The legal basis for the joint and common liability in Greece is Article 926 Astikos Kodikas. In Italy it is Article 2055 Codice Civile, in Portugal Articles 490, 497 Código Civil, and in the Netherlands Article 6:102 Burgerlijk Wetboek. Page 374 on class actions: Sweden provides for the possibility of class action lawsuits. European poker sites that are licensed inside the EU are able to offer their citizens tax-free poker winnings; this is a great tax law that benefits players and implements the policy of open borders. But the law regarding gambling providers is taking another turn; with separate licenses in every EU country and even look-in in some countries (France). Is this in line with EU values and legal according to EU law?